Vicky founded Harbour Yoga in 2014 after a successful corporate career in Communications and Investment Banking. She has been practising yoga for longer than she cares to admit. In her 25 years on the mat, her practice has spanned Iyengar, Bikram, Vinyasa Flow, Restorative Yoga and general Hatha. Vicky completed her RYS200 Yoga Alliance certification with Dylan Ayaloo and Craig Norris at Hot Power Yoga and and spent a further year developing her skills through the HPY mentorship programme. She has continued to expand her knowledge completing further trainings in Teen Yoga, Restorative Yoga and Forrest Yoga. Most recently she has completed mentorship programmes with Naomi Absalom and Jambo Truong. Charlotte loves practicing all types of yoga, talking about it and sharing her passion with others. After years of having her own personal practice she decided to travel to Bali to complete her Yoga Teacher Training (Yoga Alliance certified) and begin teaching. Charlotte’s classes are suitable for all levels, creating variations to make postures more accessible for beginners or push more experienced students. Her classes allow students to breathe, be mindful and have fun together. Emma’s yoga journey began in 2007 at a time when she was competing in 100m sprinting and cross country horseback events. While she felt she was not suited to the flexible poses she was introduced to, something about the practice hooked her. She continued her learning and developed a keen interest in the chakra system and meditation. Her journey has evolved and taken many new directions and forms but the fundamental essence of mindfulness and working with the chakras still runs through her practice. Emma’s classes are powerful, invigorating and empowering, while her nurturing qualities as a restorative and pre-natal teacher create a perfect environment for growth and development for yogis, from beginner to advanced. She holds a 200hr teacher qualification, and is also qualified as a pre-natal yoga teacher and a level 2 reiki practitioner. Simona fell in love with Yoga 8 years ago after she had her second son. She found freedom and joy in the physical movement of this beautiful practice(asana)and acceptance along with gratitude during meditation. 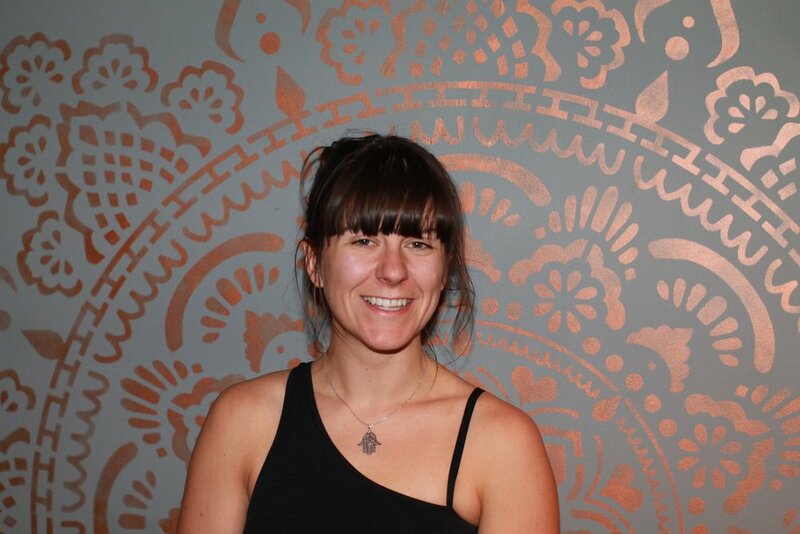 Simona enjoys teaching vinyasa flow classes and is also passionate about sharing her love of yin and restorative yoga. She believes in the importance of finding balance (Yin&Yang) on and off her mat in life. She has trained with some inspirational yoga teachers including Dylan Werner (200hr Teacher Training) and Norman Blair (Yin Training).